As we age our needs change making long term care a reality. We can identify options and implement a plan that will help preserve your family’s assets. Sadly, we will all lose a loved one. 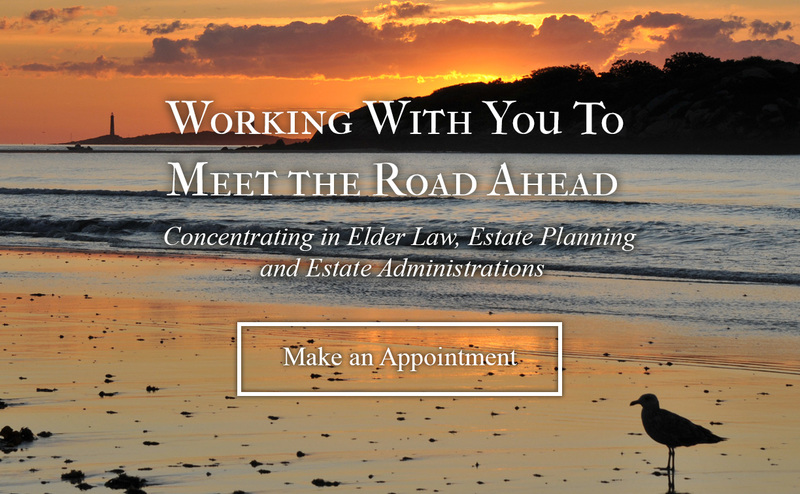 We can assist with all phases of estate administration and matters before the Probate Court. Wills, trusts, health care proxies, powers of attorney – these are the documents comprising a typical estate plan. Each can be tailored to meet your needs. Our goal is to deliver the result you expect. We offer a fixed price, agreed to in advance and based on the services you select. As we age our needs change. Our office can help identify options and implement a plan that will preserve your family legacy and qualify for public benefits. Wills, trusts, health care proxies, powers of attorney – these are the documents comprising a typical estate plan. Each can be tailored to meet your specific needs. Our goal is to deliver the result you expect. We offer a fixed price agreed to in advance and based on the services you select. © Copyright Beauport Law | website by Central Design Co.